Acciona Energy Gunning Wind Farm • Tower base construction. Grouting work to wind towers. 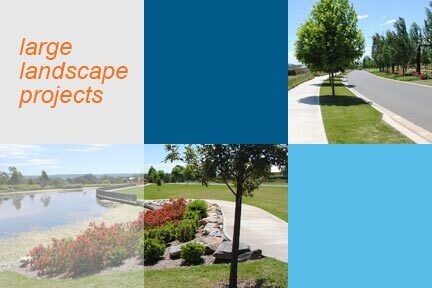 Australian Civil Infrastructure Group Various civil works in south west New South Wales. BFH Sydcon Security fence footing on various communication sites across south west New South Wales. Blucalf Civil Construction Footpaths and bicycle tracks on M7 and Hoxton Park Road. Blue Circle Bunded fuel depot to South Marulan limestone quarry. BMD Constructions Civil works at new quarry in Marulan. Culverts. Building works. Slabs. Bridge work. Boral Construction Material Group Setup mobile batch plants at Port Botany. Joint venture highway at Albury. Brefni Excavation & Earthmoving Civil works in various locations on RailCorp sites. Burton Contractors Civil works, drainage, etc, at Prospect Quarry in Prospect. 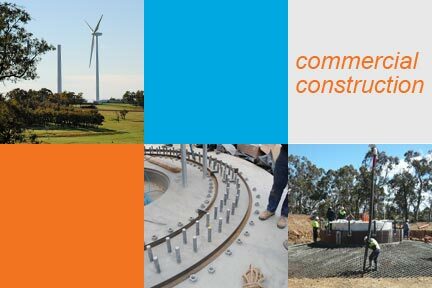 CATCON Gunning Wind Farm • Concrete placement of up to 380m3 each to footings for 59 wind towers • Construction of other concrete slabs to windfarm facilities • Gunning Wind Farm 2 • Woodlawn Wind Farm. Edwards Constructions BER work at St Peter's and St Paul's Primary Schools, Goulburn. First City Construction Company Clarence Street Office Complex in Moss Vale • 1,400m2 suspended slab. Gibraltar Construction Dunn & Lewis Youth Centre Ulladulla • Stage 1 • 1,100m2 suspended slab. 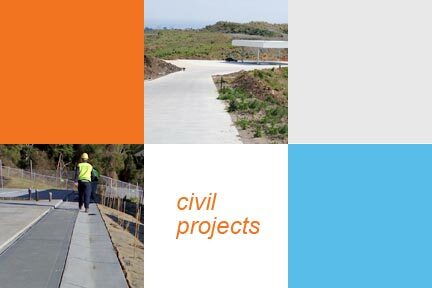 Lilliendal Civil Civil Projects including: rail, retaining walls, paving & pits. 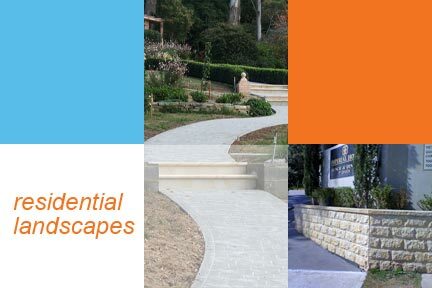 MC Group (NSW) BER projects on the Southern Highlands. Richard Crooks Constructions Various BER projects around the Southern Highlands of New South Wales. Taylor Projects Group Home Maker Centre and other commercial projects in the Southern Highlands of New South Wales. United Group Bannaby Substation. Construction of 980 concrete piers with hold down bolts. Project value $2 million. Windhoist Australia Pty Ltd Gunning Wind Farm • Grouting works at the erection of wind towers. Zauner Construction Various commercial and BER projects on the South Coast of New South Wales. Zoom Wave Pty Ltd Road pavement works at Port Botany extension and Eastern Creek industrial area. Boral Pepper Tree Quarry at South Marulan • Concrete footings for crushing plant. RMS Marulan Weigh Station • Construct walk through service pits. Shoalhaven Council Swimming Centre Construct new swimming centre including a 50m pool. G.J Gardner Homes Southern Highlands Residential house slabs on various sites across south west New South Wales. Ian Saurine Investments Various residential projects in the Southern Highlands of New South Wales. 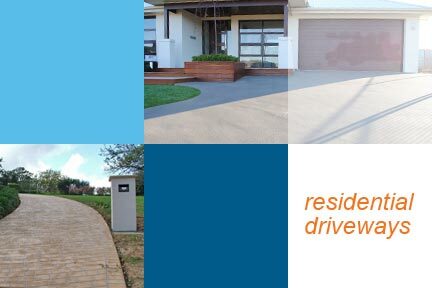 JDP Landscaping Landscape concrete works for retirement village: driveways, paths & carparks. Lewis Building Company Department of Housing medium density housing projects. Masterton Homes New home slabs • New home driveways. 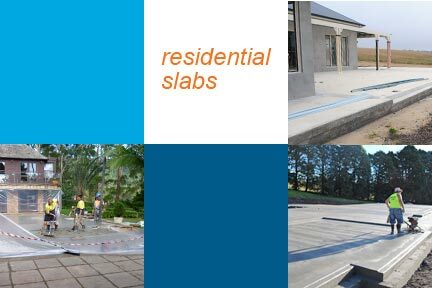 McDonald Jones Homes Residential house slabs throughout the South Coast and Southern Highlands of New South Wales. Robert Richard Leso Builder Custom-built housing projects in the Southern Highlands of New South Wales. Stone Kit Homes Residential slabs. Zadro Constructions Retirement home villa slabs and topping slabs to wet areas.